If you’ve decided to switch your Arlington, VA organization to phone service via a business voice-over-IP (VoIP) provider, you may be wondering where to start. Business VoIP service can offer clear benefits over on-premises VoIP or digital PRI systems in cost savings, convenience, and reliability. By the end of 2017, researchers predict there will be 1 billion mobile VoIP users worldwide. With hundreds of options both in the greater Washington D.C. Metro area, nationwide and worldwide, selecting the right option for your organization’s needs can seem overwhelming. First-time VoIP users are not only selecting a vendor, they’re also selecting a phone system, which adds complexity to the decision process. Each business VoIP option has different features and pricing structures, making true cross-comparison complex. gPhone, an abbreviation of Globalphone Corporation, is a Mid-Atlantic provider of “hosted PBX” and VoIP services to clients in Washington DC, Virginia, Maryland, Philadelphia, and Delaware. Founded in 1995, the firm is headquartered in Falls Church, Virginia. gPhone’s hosted VoIP is delivered via the Broadsoft platform, and can support customer selection of several different manufacturer options for softphones, including Cisco, Polycom, Yealink, Aastra, Grandstream VoIP phones and CounterPath. ACC Telecom is a business VoIP, cabling infrastructure, and video surveillance provider for the greater Mid-Atlantic headquartered in Columbia, Maryland. Founded in 1979, ACC’s website states they specialize in custom-designed voice communications solutions for customers at both large and small businesses. ACC’s VoIP options included cloud or hosted VoIP, on-premises solutions, and hybrid VoIP/POTs systems according to customer need. Business VoIP via ACC is delivered through the 3CX IP Business Phone System, which supports mobility and add-on features such as instant messaging and presence. There is support for a number of phone and equipment manufacturers, including Toshiba, Cisco, Polycom, Jabra, Edgewater, SonicWALL, Valcom, and Comdial. Customer reviews of ACC Telecom posted on Google compliment their staff for positive and friendly attitudes and responsiveness. Vonage provides VoIP phone service to over 500,000 businesses. Their service offerings are perfect for small business, featuring advanced functionality like voice-to-text, as well as both mobile and desktop applications. They also provide month-to-month contracts so you won't be locked in long-term if you don't like their service. Their VoIP service runs off your own high-speed internet, which is fine for some businesses but not ideal for others. We've written about "bring your own broadband," and how it effects call quality in this LinkedIn article. Allied Telecom provides Data, Voice, and Internet services along the Mid Atlantic and Northeast Corridor. With over 25 years of expertise and experience behind them, they provide flexible and scalable voice solutions with a high quality of service. Their VoIP solutions offer features such as Ad Hoc conference calling, direct call pickup, a mobile app to keep you connected in the field, and even advanced features like video conferencing from a camera-equipped phone. They offer a flat-rate monthly billing option that keeps your billing simple and consistent. They are worthy of consideration, especially for businesses in the Mid Atlantic area. 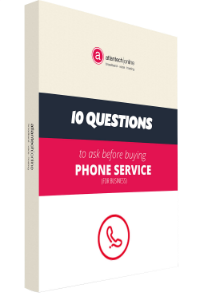 Founded in 1995, Atlantech Online has been a leading choice as a business VoIP provider among Mid-Atlantic and Arlington, Virginia firms for over two decades. Headquartered in Silver Springs, Maryland; Atlantech specializes in “phone service with fantastic support,” including highly-reliable, uptime-guaranteed business VoIP delivered via the highly-redundant, mobile-first Broadsoft platform. Atlantech customers can make and receive calls via a customized solution of PRI, analog, POTs, and SIP trunking, with best-of-class quality guaranteed, thanks to Atlantech’s own fiber-optic Internet access network. With local and domestic long distance calling included and highly-competitive pricing for international calling, Atlantech’s customers can select from best-of-class add-on features via Broadsoft, including unified contact center options, the “Hub” for individual productivity, and Team-One to support flexibility in how your organization works. Are There Advantages to a Local Arlington Business VoIP Provider? Decision makers at organizations in Arlington, Virginia have the option of both locally-owned and operated and national business VoIP providers. While there are advantages to selecting a local firm for your telecommunications needs, vendor selection for any managed technology relationship is complex and should take into account varied factors in addition to proximity. 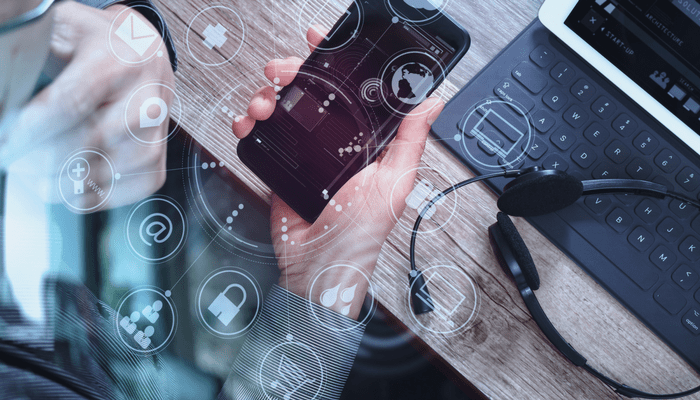 The location of your VoIP vendor can have an impact on your quality of experience, but it’s not the only customer service angle to think about. Responsiveness, client success stories, industry experience, and on-site support can vary no matter where your vendor is based. Ultimately, client references and customer reviews should be a guiding factor in choosing between a local, national, or international vendor. Do you need on-site support for installation, implementation, or training? Will you be installing fiber-optic Internet connectivity to support your new VoIP system? Do you anticipate the need for intensive assistance with VoIP selection, or related technologies such as fiber, data, or unified communications as a service (UCaaS)? Does your firm have an interest in local data colocation hosting and potential cost-savings by bundling services with a local business VoIP vendor? Does your organization require industry specialization due to regulatory requirements or other unique needs? Depending on the size and experience of the VoIP vendor you select, a national vendor may not be able to provide the consistency of on-site support needed for a smooth implementation process. Some national VoIP vendors work exclusively with local contractors, which can lead to varied experiences or delayed on-site response times. In contrast, a locally-owned and operated firm may offer access to consistent expert relationships, including the ability to communicate consistently with the same implementation support specialist until your VoIP system is up and running successfully and your users are trained. Which Arlington, VA Business VoIP is the Best? The best Arlington, Virginia-based business VoIP depends on your organization, your needs, your budget, and your vision for VoIP. A small firm that needs VoIP and video surveillance may decide to form a partnership with ACC Telecom, while an educational institution transitioning to VoIP and UCaaS may select Atlantech. Ultimately, the right path to hosted, business-class VoIP varies even among organizations in the Arlington, Virginia area and the “best” is always a highly subjective term. Firms who are switching VoIP or adopting VoIP technology for the first time are balancing an overwhelming number of factors. You’re considering phone system pricing, softphone options, VoIP platform options, vendors, and most likely, whether you could benefit from adopting additional options such as fiber-optic internet connectivity or data hosting. Fortunately, Atlantech Online has been a source of support and objective guidance for Arlington businesses since 1995. Drawing from decades of expertise, we specialize in helping local organizations select the right business VoIP provider for their needs. Communicating with your customers is critical to your organization’s success and reputation, which is why Atlantech believes that selecting the best vendor fit is of the ultimate importance. Our expert service advisors offer a unique, no-pressure approach to helping Arlington IT professionals and business owners understand their VoIP and unified communications needs, and evaluate their options accordingly. To learn more about which Arlington, VA business VoIP vendor is the best fit for you, click here to contact us today.